Gucci Mane is settling right back into the postion of most wanted with the release of his latest 23-track mixtape, Trap God 2, hosted by DJ Scream and DJ Spinz. You read that right, 23 tracks. 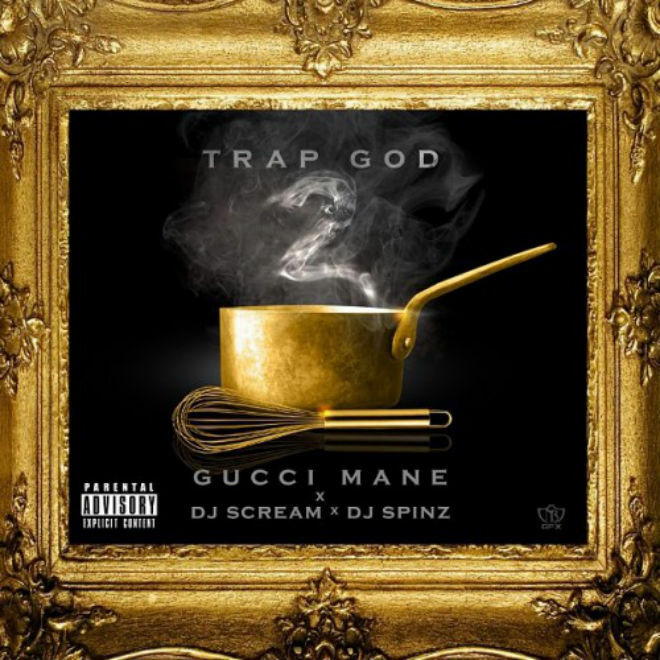 Coming along as featured guest appearances on Trap God 2 are none other than Waka Flocka Flame, Young Scooter, Wiz Khalifa, Lil Wayne and more. Plenty of features to keep you excited for the entire listen. Be sure to check back soon for the UTG list of our compiled Gucci tracks we think reign as the most enjoyable. Should be an interesting list. been a gucci mane fan since his mixtape Chicken talk, and i have to say from then until right now, he has been very consistently HOT!!!!. This is another mixtape that has a slow motion vibe too it just like free Bricks 2. Lately gucci has been using that type of flow when he raps. didn’t like it at first tho. the Bangers on here are “squad car” Scholar” hottest song on the tape “bob marley” “Break dancin” “RIch Muthafucka” “breakfast”. gucci raps nothing like when he first came out and he still is killing the game. his flow just get better.